Turf, Soil, Sand & Rootzone TestingETL is an A2LA-accredited laboratory and only 1 out of 10 in the world on the USGA approved list of physical soil testing laboratories. European Turfgrass LaboratoriesAn independent service for the analysis of soils, sand, peat, gravel, rootzone and other materials for the turfgrass and landscape industries. Measurement and Analysis of Turf, Soil and rootzoneWe are trusted by groundsmen throughout the United Kingdom to return expert turf and soil analysis, ensuring that their clubs have the optimum playing surface year round. 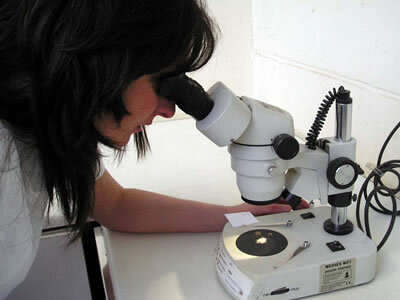 Having materials testing provides an invaluable and essential took for golf course architects, agronomists, course superintendents and groundsmen in making informed decision on which materials are right for you and your projects needs. Golf course architects, agronomists, material suppliers, contractors, local authorities and government agencies use our testing services extensively during project planning and construction to ensure that all materials are conforming to their project’s specifications. ETL is an A2LA-accredited laboratory and only 1 out of 10 in the world on the USGA approved list of physical soil testing laboratories. Accreditation involves a two yearly visit from an A2LA assessor to review our quality procedures and ASTM compliance. 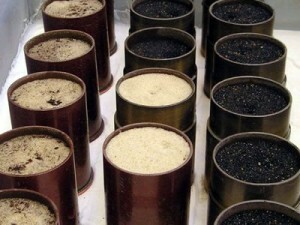 Accurate measurement of the distribution of particles in silt and soil. 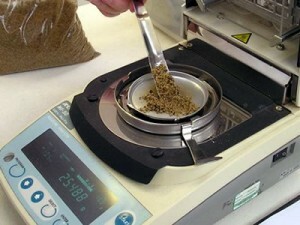 Measuring bulk density, electrical conductivity, fibre and moisture content in soil, sand and rootzone. Testing soil toxicity levels, nutrient levels, elemental make up, pest diagnosis and water analysis. 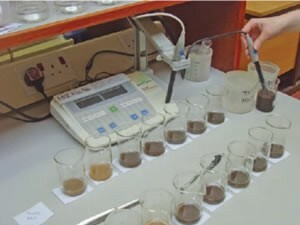 European Turfgrass Laboratories Ltd (ETL) provides an independent and unbiased service for the analysis of soils, sand, peat, gravel, rootzone and other materials specifically for the turfgrass and landscape industries. Formed in 1996, we have been testing materials for many of the world’s leading golf clubs, football clubs, national stadiums, racecourses and other natural grass sports surfaces. ETL’s market began in the UK and Ireland and has rapidly expanded across Europe into Africa, Middle East, Australasia and South America. Golf course architects, agronomists, material suppliers, contractors, local authorities and government agencies use our testing services extensively during project planning and construction to ensure that all materials are conforming to their project’s specifications.